As Samwell Tarly, Game of Thrones star John Bradley has fought White Walkers, cured the incredibly infectious disease known as greyscale, and stared into the abyss of every chamberpot in the Citadel. But for all his experience with high-flying fantasy adventure, Bradley had never taken the plunge to play Dungeons & Dragons...until now. 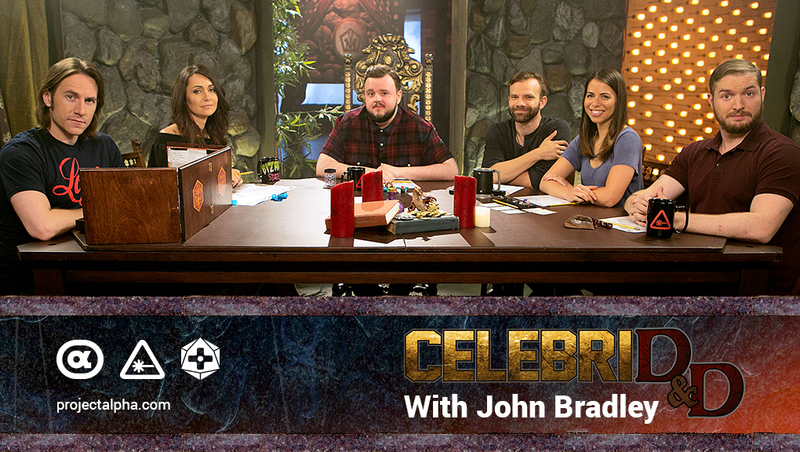 For our latest edition of CelebriD&D, Nerdist and Geek & Sundry joined forces to give Bradley the best first adventure of his life. With a hand-crafted, artisanal adventure created by the greatest living Dungeon Master, Critical Role's Matthew Mercer, John Bradley morphed himself into the character of Mankum, a gnomish bard with a predilection for talking his way out of trouble and a keen eye for finding unorthodox solutions to problems that lesser adventurers would solve with clashing steel. In Bradley's own words, as you can read on his character sheet below, Mankum is "short, round with [a] red bulbous nose [and] piercing blue eyes." That description coupled with a Charisma of 18 is a recipe for having the pants quite literally charmed right off of you. And if that fails, you'd better believe that Mankum will come correct with his +1 Longsword to cut you down to size. My one regret is that he never got to use his trusty collapsible fishing pole...or did he? You'll have to watch the full episode on Alpha to find out. But no fantasy hero worth his salt like Mankum would dare delve into a dank dungeon all alone! He was joined by a hearty band of adventurers including Jessica Chobot (Nerdist News, Bizarre States), Liam O'Brien (Critical Role), Laura Bailey (Critical Role), and Dan Casey (hey, that's me). Together, this intrepid band of adventurers joined forces with Mankum to brave all manner of medieval dangers, using their wits and wiles, as well as some spells and swordplay to save the day and escape with their lives intact. What lies ahead for this motliest of crews? Find out on a brand new episode of CelebriD&D! Want even more CelebriD&D? Watch previous episodes with Vin Diesel and Joe Manganiello and see the full-length version exclusively on Alpha, our membership service where we and our pals at Geek & Sundry make one-of-a-kind shows for your viewing pleasure. If you sign up now, you can get a 30 day free trial that will give you access to a massive library of content, VIP access to live events, special discounts in our merchandise store, and much more. 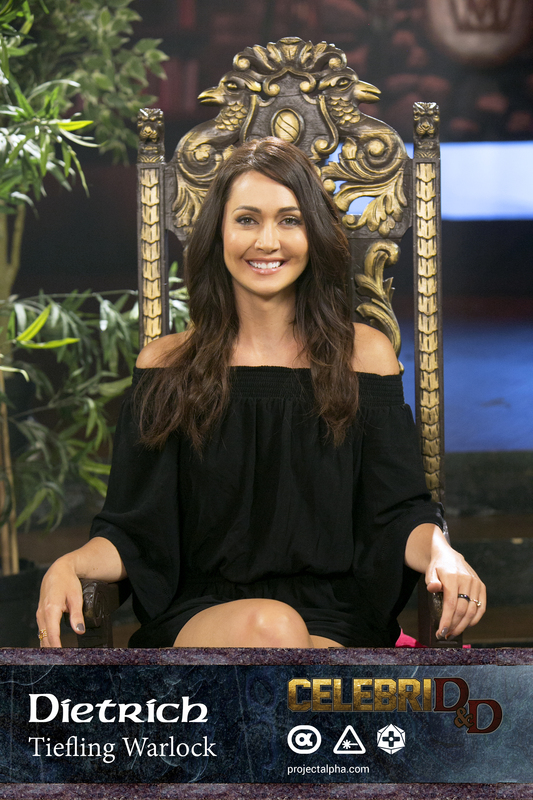 What did you think of today's CelebriD&D? Who else would you like to see on future episodes? Let us know in the comments below!